Don't miss a post. Get them in your Inbox! Enter your email address to subscribe to this blog and receive new posts by email. The Defeat of the Vile Black Sludge Monster! The Etymology Of The Word "Hiccough"
Sign up to receive a weekly email featuring excerpts from the previous week's posts. Never miss a post! Hungry? Check out Recent Posts from Food.GregsHead.net! It’s Time for the County Fair! 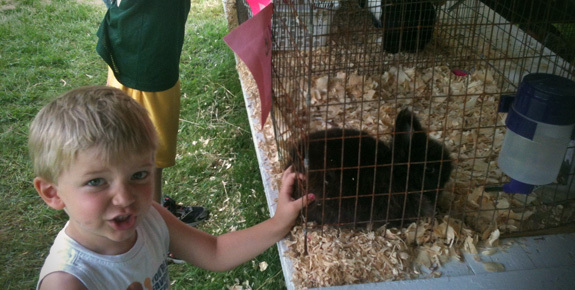 The Wayne County Fair opened up today, and we were there! 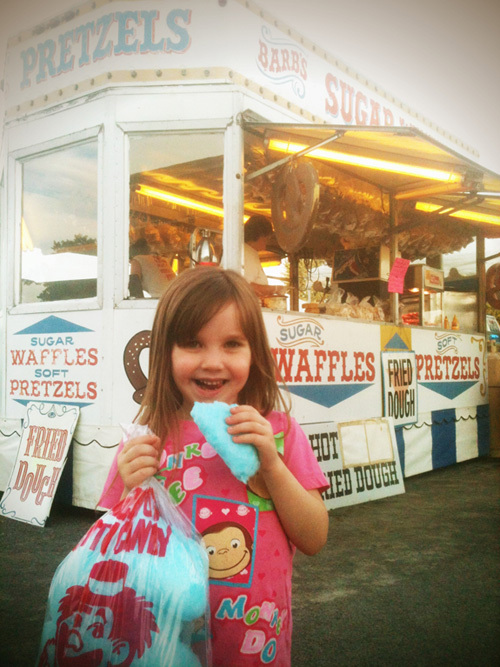 We do enjoy our annual trip(s) to the fairgrounds, especially since it’s only a few blocks from our house! Being so close, we usually make a couple trips up there during the week of the fair, making sure to take advantage of any free admission times (like today). We mostly enjoy seeing the animals. Emma loves horses, and there are plenty of those there! We visit every stall, cage, barn, tent—anywhere there’s an animal, we’re there! Last year we enjoyed a concert by a friend of ours and his band. Sometimes we’ll even ride the rides and buy some over-priced food and drink and enjoy the experience. And that’s what it is—an experience. Other experiences were even better than usual: our good friends were in town for a visit, and they joined us for a quick visit to the fair. Most things are even more fun shared! We plan to go back a night or two this week and find our favorite animal, see our favorite sight, or even enjoy that special treat. July and August mean County Fairs all over these United States. 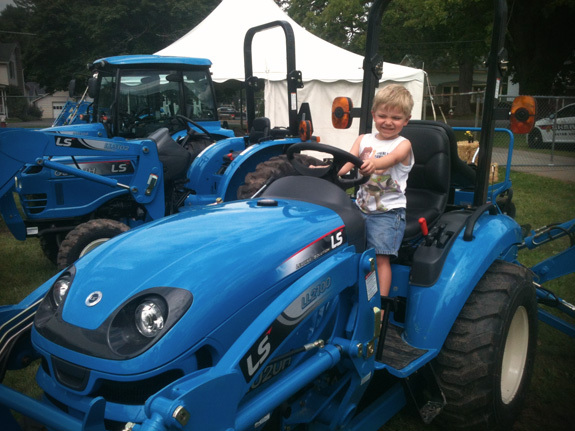 Have you already been to your county’s fair? Will you go if it’s still upcoming? 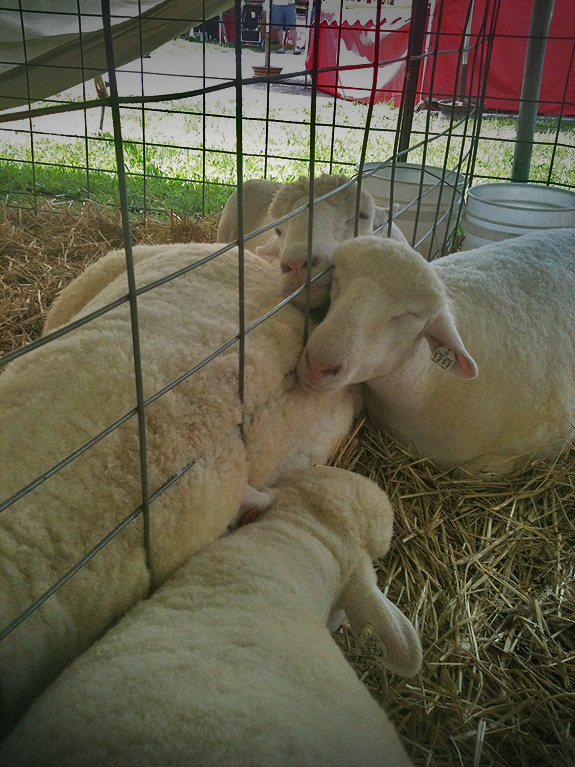 We Campbells always try to find time for a visit to the fair. Hope you can, too.